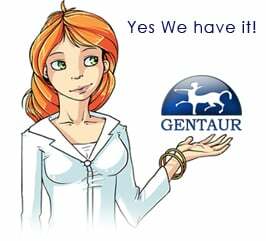 Gentaur antibody-antibodies.com The Marketplace for Antibodies : The Bacillus subtilis genome from gerBC (311 degrees) to licR (334 degrees). The Bacillus subtilis genome from gerBC (311 degrees) to licR (334 degrees). As part of the international project to sequence the Bacillus subtilis genome, the DNA region located between gerBC (311 degrees) and licR (334 degrees) was assigned to the institut Pasteur. In this paper, the cloning and sequencing of 176 kb of DNA and the analysis of the sequence of the entire 271 kb region (6.5% of the B. subtilis chromosome) is described; 273 putative coding sequences were identified. Although the complete genome sequences of seven other organisms (five bacteria, one archaeon and the yeast Saccharomyces cerevisiae) are available in public database, 65 genes from this region of the B. subtilis chromosome encode proteins without significant similarities to other known protein sequences. Among the 208 other genes, 115 have paralogues in the currently known B. subtilis DNA sequences and the products of 178 genes were found to display similarities to protein sequences from public databases for which a function is known. Classification of these genes shows a high proportion of them to be involved in the adaptation to various growth conditions (non-essential cell wall constituents, catabolic and bioenergetic pathways); a small number of the genes are essential or encode anabolic enzymes.